New Zealand is a country unlike any other. Once you step foot here you won’t believe the wonders that exist in both city and countryside. Sounds an awful lot like an overpromise, doesn’t it? We assure you that it’s not. Everyone who visits say they love it for its friendliness, its community, its nature, its landscape, everything. Okay, maybe not everyone. We shouldn’t speak in absolutes. There have probably been a few people over the years who have visited the Land of the Long White Cloud and weren’t that impressed. We’d venture to guess it’s because they’re not fans of waterfall-and-peak-filled fjords, lakes roughly the size of Singapore, coastline complete with geothermal pools, tussock farmland with big skies, glaciers, volcanoes, rainforests and geysers. You know, the kind of countryside you’d do anything for as a kid, just to play and frolic and lose yourself in fresh air. That’s exactly our point. New Zealand is an ideal family-friendly destination. In fact it ranks 1st on the Legatum Prosperity Index: an annual ranking developed by the Legatum Institute, which essentially measures how prosperous a nation is through factors like economic quality, business environment, governance, education, health, safety and security, personal freedom, social capital and natural environment. You can discover more about their methodology as well as their findings concerning New Zealand right here. The real important takeaway is that this island-country is rich not only in landscape but also in just about everything else. You should feel compelled to explore its greatness with your whole family. If you find yourself in New Zealand on locum tenens assignment already, here are some unforgettable experiences you’ll want to consider. Clothed by the Southern Alps, Franz Josef Glacier is a marvel. Cacophonous colors shade the horizon. Light blues you’ve never met before rush toward you. Dark greens you won’t recognize slip into your field of vision. Nonetheless, the sight is welcoming. Start in town, Franz Josef, where you can frequent quaint cafes and shops while the Southern Alps tower over you. This is where you’ll want to book your adventures, too. You can choose anything from a guided walk to a scenic flight. If you’d like to overnight it, there are a variety of hotels, motels, lodges, bed and breakfasts, plus holiday parks. And believe it or not, a lot of the places where you can stay are enshrouded by rainforest. The southern lights in all its vibrant beauty can be seen from Lake Tekapo’s shores. Wait a minute, the southern lights? Yes, the northern lights has a sibling existing at the exact other side of the world, the Southern Hemisphere. And if you head to Lake Tekapo during winter you’ll experience an amazing show. Unfortunately this happens during July and August for New Zealand (that's when their winter occurs) so you'll have to wait a bit to see the southern lights. No worries. You can still catch some killer stargazing with your family. Head to Mount John Observatory on an Earth & Sky tour where you can witness some of the darkest skies in the world, perfect for viewing the Milky Way. Milford Sound is without a doubt one of the hallmark stops on any South Island tour. Famous novelist Rudyard Kipling (author of The Jungle Book) once called this glacier-carved fjord “the eighth wonder of the world.” High praise, but suitably so. Waterfalls pour out of forested, tall-reaching peaks. Hiking trails abound so you’re more than apt to find an agreeable view of Milford’s magnificence. And there’s ample accommodation so if you plan to stay for a few days, you're solid (though, do book in advance because places tend to fill up). Truthfully, boat cruises are the way to go. You’ll encounter much more of the unimaginable this way. There will be coves filled with marine life and even waterfalls that you can experience up close. Plus some boats are even equipped with underwater viewing observatories so you can witness all the life blooming beneath the surface. So far we’ve mentioned only experiences showcasing the raw beauty of New Zealand. We’d like to take a moment to highlight the culture and arts that’s abundant in this country, too. 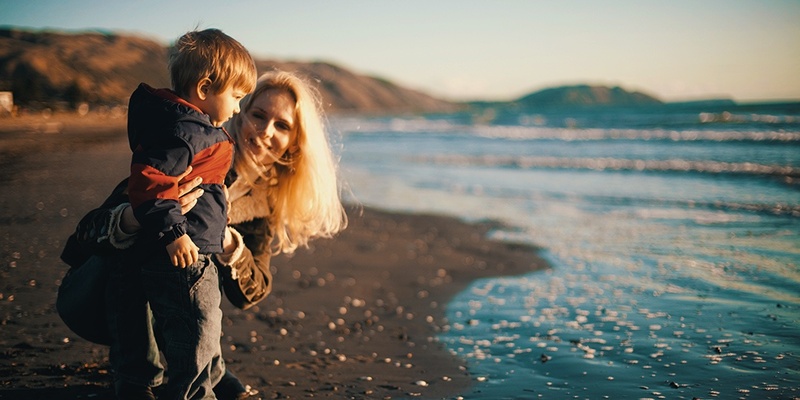 There’s no better place to enlighten you and your family than in Wellington. This cultural hotspot has a lot going for it. Like Te Papa Tongarewa, a national museum where the continued focus is preserving the history, language and lore of New Zealand’s people through exhibitions and education. Six stories of rich artwork, both past and present fill these walls. Another huge plus? Aside from being architecturally stunning this museum sits right on the waterfront so you’re bound to experience some spectacular views. Not quite as large but equally as important is the Museum of Wellington City and Sea that’s housed in a heritage building on, you guessed it, another immaculate waterfront. Take in the views outside then head inside for a taste of Wellington’s cultural history. This museum is dedicated fully to Wellington complete with interactive exhibitions. Check out the exhibit, A Millennium Ago, that highlights Maori legends using holographic effects. Well, that’s it. While there’s a ton of other family-friendly experiences in New Zealand, they’d be too numerous to list in one blog. Discover what locum tenens opportunities are available in the Land of the Long White Cloud with the click of an orange button below then start planning your scenic—and educational—family-friendly adventures right away. (Oh, and if you'd like to learn more about Maori culture before you embark, then click here). Coast to coast, north to south, island to island, New Zealand has it made. Somehow, perfect boundaries have been set; the most ideal lines have been drawn. Everyone who lives here has an ocean of fascinating country and culture that’s unparalleled. So many people call this brilliant land home yet so many don’t get to explore its vast expanse unflinchingly. Shocking, I know. Still, many more than that have never visited at all. They’ve never stepped foot on this volcanic, beachy, glacial, rainforesty country. It’s time that changes. It’s time for those who haven’t been to make their way. In fact, to do whatever they must to make their way. Unspoiled scenery is waiting. Right along with those “this is the way life should be” epiphanies. Few words exist to describe New Zealand with due respect. I can only think of one off the top of my head that describes it perfectly. It’s a word that won’t leave your mind while you’re here. Literally—not a peep will leave your lips. Because you’ll be so stricken with awe, so overcome by rolling waves of soft earth, so exhausted mentally from the idyllic explosion happening before your eyes that you won’t be able to garner enough mental capacity to make those choice syllables move from mind to mouth. New Zealand is simply and utterly…surreal. And here’s the most surreal out of all the surreal in the Land of the Long White Cloud. Lauded short-story writer and novelist Rudyard Kipling stepped foot here once or twice. Every time he left, he swore Milford Sound worthy of being “the eighth wonder of the world.” Not much more can be said. Take his word for it.